Atlantic cod (Gadus morhua) encompasses many different populations or stocks, which in part are managed separately. In the northeast Atlantic cod is divided into two main management units; northeast Arctic cod and coastal cod. These two groups have traditionally been separated by otolith classification. In this study, the power of different classes of genetic markers in separating the two cod groups was investigated. 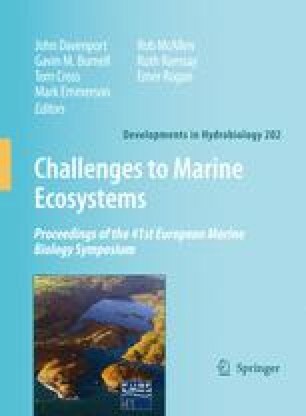 The variation in thirteen genetic markers, including allozymes, haemoglobin, the scDNA locus Pantophysin (Pan I) and a number of microsatellites was investigated, and mixed stock analysis and individual assignment tests were performed on samples comprising a mixture of individuals of putative coastal and oceanic type cod. The genetic analyses showed a large genetic differentiation between outer stations and stations located closer to the mainland shore. Mixed stock analysis and individual assignment tests used for estimation of stock proportions gave results similar to those obtained by otolith classification.